﻿ Interview: Plug-in Media's Juliet Tzabar: "There’s no better time to be originating content in the digital space"
Juliet Tzabar is responsible for new business and the day to day running of UK-based digital production company Plug-in Media. Following an early career in television as an art director, she switched to digital in 2000. Juliet specialises in delivering interactive projects with a broadcast tie-in and has produced games and websites for many well-loved children’s brands: Sesame Street, Bob the Builder and Teletubbies to name but a few. MIPBlog: How did you get into the kids media and the games market and what have you made? Juliet Tzabar: I moved into interactive content production back in 2000. I left a freelance career as a TV art director behind to work as a producer at an interactive agency in Brighton called, Victoria Real. At the time, they were building the first Big Brother website and all the talk was of convergence, so I decided it would be a brilliant place to combine my previous experience in TV with new digital production skills. At Victoria Real I began to develop a specialism in producing interactive content for kids and that’s something I brought into my work at Plug-in Media. I joined Plug-in in 2006 and became a partner in the business soon after. In 2009, we made an interactive experience for Kindle Entertainment’s Big and Small which won us a Children’s BAFTA for interactive and enabled us to expand and grow up to become one of the leading producers of digital content for kids. The company’s specialism has been in creating interactive content that is tied to linear broadcast experiences and we have made apps and games for production companies, licensing cos and broadcasters throughout the world. More recently the company has been expanding into original IP development and so alongside the interactive game production services we offer, we have a transmedia slate of projects in varying stages of development and production. Currently, we’re running two app development contracts for broadcasters and IP owners based on their IP; one games development contract based on our own IP and commissioned by the BBC; a 10×1’ 2D animation production also for the BBC to promote the games; and an 11 minute animation pilot for Nick Jr US. It’s a dynamic (not to mention hectic) mix, and I think presents an evolutionary model for what production companies are and will be in the future. Recent weeks have seen the launch of our first original IP project: Tee and Mo on the CBeebies website. 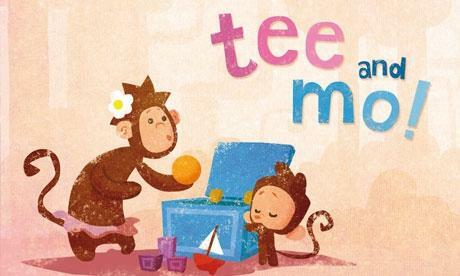 Tee and Mo revolves around the daily adventures of an adorable and unstoppable baby monkey, Tee and his first-time mum, Mo. It’s intended for a dual audience, so we have developed the brand as a suite of 10 digital toys for desktop and mobile, for parents and children to play together. The brand focuses on creating a positive approach to shared screen time that will lead to caregiver and child bonding both on and away from the screen. Alongside the games, we’ve also made 10×1 minute animated shorts, which are being broadcast on-air on the CBeebies channel. The commission of the games has enabled us to run a parallel television development, so we’re bringing Tee and Mo as a TV proposition to MIPJunior and MIPCOM. For us it’s important that everything starts at the same place – so we began by developing Tee and Mo as characters and evolving their story world before we decided what the games would be. As a digital services company moving into to original IP development, our intention is to be platform-agnostic about the brands we’re developing – quite often when a game IP gets ported to a linear medium such as film or TV, you have to reverse engineer story in order give a story world authenticity – we’re trying to avoid that! > You’ve worked with some great kids brands, creating digital content, now you are creating your own IP, why? The move into original IP development was an inevitable one – not least because we quite enjoy a challenge! We’ve always seen our clients on the services side of the business as collaborators and the most rewarding contracts are the ones where we get to evolve a brand into the interactive space such as we were able to do with BBC/FME’s Tree Fu Tom and Kindle Entertainment’s Leonardo. However there is a frustration in putting so much creative energy into something that we ultimately don’t own, or can’t derive any revenue from beyond a price for services rendered. Having spent so long working within the children’s sector, seeing how new kids brands are made, what makes them successful and who the movers and shakers are – it certainly seems the next logical step for us to start creating our own content – both linear and interactive. We’re very well-established so it’s not been like starting from fresh – but it has been a massive learning curve! We still see the services side of the business as an important part of Plug-in Media – and we still really enjoy working on those contracts – but we hope that over time a greater number of the projects we produce will be ones that we’ve originated ourselves. I’d be foolish not to agree with Michael as I have staked much of our company strategy on precisely that prediction! The great thing about Plug-in’s IP ambitions is how in line they have been with industry trends – the stars certainly appear to be aligning – and I believe that there’s no better time to be originating content in the digital space. It’s taken a while but now, TV commissioning execs are starting to look to the internet as a birthplace for new IP and they’re starting to consider apps or online games as vehicles to pilot IP. This makes more sense in the children’s genre than elsewhere in TV because the audience is so ready to move between linear and interactive content – either on the same device or across a number of different connected screens. Moshi Monsters has obviously paved the way for this but I would also point to apps as playing a significant part in providing fertile ground for new kids’ brands. > In this new context, how are producers’ roles evolving? Do they need to be more entrepreneurial, for example? There has always been an entrepreneurial function to being a successful producer – particularly in the days where there’s no such thing as a 100% commission! However, I think with the proliferation of platforms available to content makers, the breakdown of the old gatekeepers such as broadcasters and publishers, and the potential to exploit commercially earlier than ever before, this new production landscape undoubtedly demands new skills and understandings. At Plug-in we expect a lot of our producers. One minute they’ll be creating a game design document — understanding the mechanics behind a game concept and the experience we want the user to have — the next minute they’ll be creating a viable (and ethical) business model for in-app purchase; and the next they’ll be putting together a production schedule for 11 minutes worth of broadcast animation. That’s quite a varied skillset! In a digital world, it makes sense that content production might involve many different tasks but I think but it will take a while for skillsets to catch up. We still appear to be in a transitional period where people still talk about ‘new media’, and producers’ roles are inevitably segmented. I think new generations of producers will be better equipped: people will still have different strengths and specialisms but there’ll be a greater understanding that content production is necessarily diverse. For the generation of kids who have grown up coding their own games, making their own Lego stop-frame animations, and creating Hollywood-standard special effects movies from a bedroom computer – this won’t be such a challenge! > Similarly, what is the new role of channels, if producers can reach an audience without them? 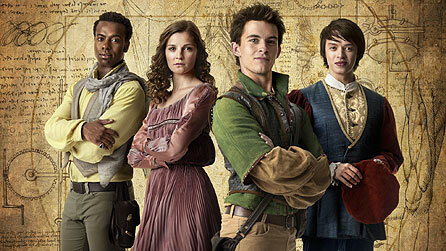 Is the term “Kids TV” even still relevant? Does it really matter? I’ve been on the organising committee for the Children’s Media Conference since 2009 so I’ve long been flying the flag for “Kids content” as opposed to “Kids TV”. Events such as CMC, MIPJunior and Content 360 at MIPTV have been brilliant at recognising that the audience has moved beyond television and is consuming content across huge and varied landscape of devices and channels. However, in a crowded and competitive market, discoverability is everything and it takes a lot to make a new brand fly and reach your audience with any real impact. TV is brilliant at getting your brand in front of your audience and engaging them with it – though a huge marketing budget works equally well! As a production company I think the channels still serve an important function – by providing a platform to deliver an extended engagement with a story world. Aside from a marketing and curation function, we should recognise that even kids like a lean back experience sometimes and TV channels provide a perfect home for long-form entertainment – and in turn that’s the perfect springboard for brand engagement. For a digital start-up with money set aside for marketing spend, I’d like to think it would be a different story, however. > What do you think is the most avant-garde, trend-setting kids entertainment IP out there right now, and why? 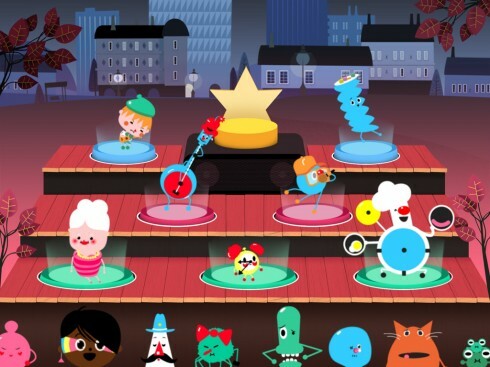 I’m struggling to come up with anything other than the utterly brilliant (kids’ mobile app developers) Toca Boca – though we’re yet to see the brand reach beyond apps. In the pre-school space they’ve perfectly mashed up digital and real-world play. The apps are so finely attuned to how children play and learn outside of screens and Toca Boca have crafted that knowledge into these beautiful toys perfectly aligned to children’s natural play patterns. They’ve also really embedded learning into those experiences without having to go down the formal ABCs and 123s route that some apps shoehorn into pre-school games in order to justify to parents that it’s OK for their kids to play them! Their business model is also genius – they’ve created an enviable audience loyalty – delivering a compulsion to collect every app they produce – without having to resort to content updates via in-app purchase. I also love that slightly kookie Scandi aesthetic – who would have thought that a little girl with a pink house for a head would go down so well! This is the latest in a series of posts exploring the present and future of Kids TV, in the run-up to MIPJunior & MIPCOM 2013. Juliet Tzabar will be back on MIPBlog before this October, and you can meet her at MIPJunior and MIPCOM. Follow her on Twitter here.